This post was sponsored by Verily. The personal thoughts and opinions are all mine. If you are a person with a disability it can be challenging to look your best all the time. 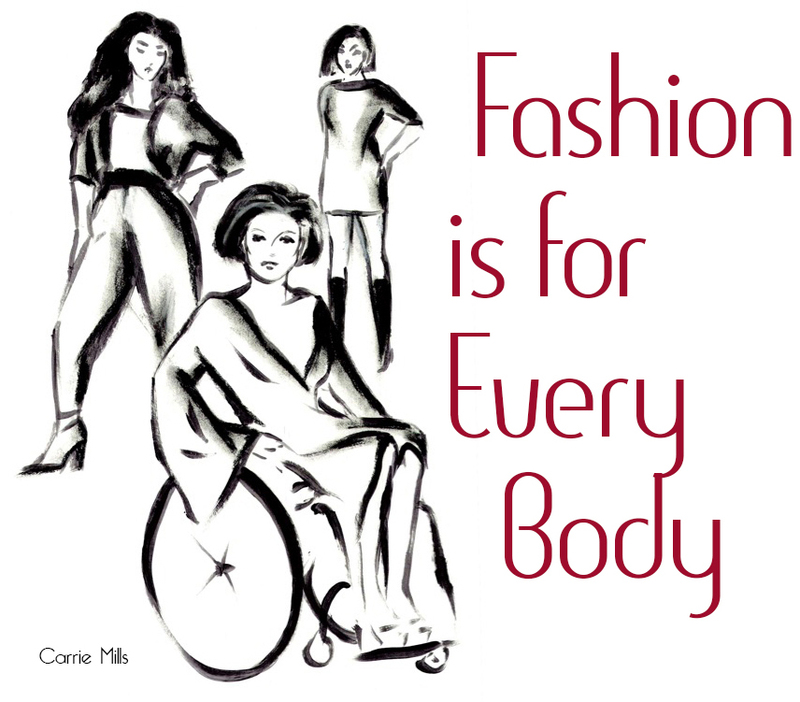 The idea that fashion is an instant nonverbal message that sums up who you are and how you feel about yourself sometimes proves pointless when your disability provides consistent deterrents to wearing nice clothes. One of the biggest problems people with certain spinal cord injuries and some forms of Cerebral Palsy, among other disabilities, face is keeping their meals off of their clothes. If your arms and hands are weak or unsteady it can be difficult to maneuver a fork or spoonful of food from the plate into your mouth without at least some of it dripping or dropping on your outfit. Enter Liftware Level, a self-leveling utensil base that keeps the spoon or fork attachment horizontal. This is a big deal if your disability makes you hesitant to wear nice clothes and eat at a restaurant or in front of your friends. Liftware Level can help avoid stains on your clothing at mealtime. It can also help you feed yourself if you have limited hand and arm mobility. That’s something most people take for granted but it can have a huge impact on a person’s sense of independence and self-esteem. 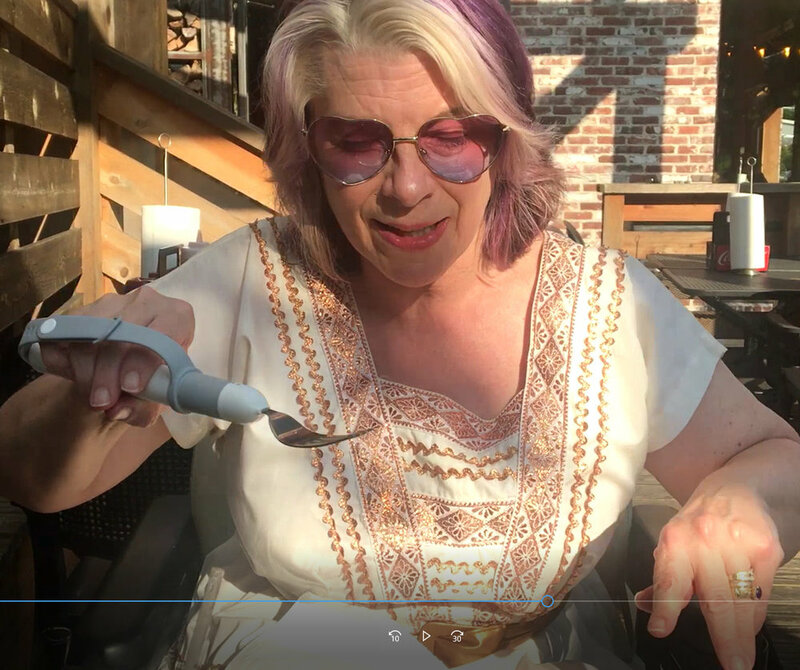 But it’s much easier for me to show you how it works, so watch my video demo filmed at Edley’s Bar-B-Que in Sylvan Park wearing a cream-colored vintage dress. Who ate the filling out of two loaded pork tacos (because Paleo so no tortilla for me) and some chocolate caramel cake (okay; not so Paleo) without getting so much as a crumb on my fancy frock? This girl! I can be my shaky, spastic self without being paranoid about getting barbeque all over the place. That saves me money on dry cleaning and wear and tear on my clothes – and you know how enthusiastic I am about both. What I love most about this technology is the independence it offers. The ability to enjoy a meal with dignity is a feeling worth its weight in gold. The Liftware Level is $195 and comes with the base leveling handle, adjustable hand strap, soup spoon attachment, charger and travel pouch. Additional utensil attachments and carrying case can be purchased separately. If you’re among the first 15 people to purchase a starter kit using the special discount code LIFTWARE-ALICIAS you’ll receive the carrying case for free.